When you have already filed an income tax return for the relevant assessment year, any subsequent return filed for the same period is known as Revised Return. The need for revising return arises because no matter how precautious one takes while filing the return, there is always a chance of error or omission. Such error or omissions may be regarding income offered, deductions claimed, recent amendments in the law or any other details filed. Revised return is an opportunity to make good all such mistakes. What is the time limit of filing Revised Return? As per income Tax act 1961, till AY 2016-17 only those returns could be revised which were submitted on or before the due date. 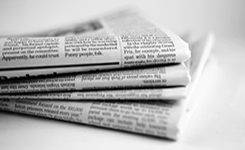 Therefore, it was of utmost significance that an income tax return gets filed on time i.e. on or before 31st July and 30th Sep, normally. Good news is that from Assessment Year 2017-18 (Financial Year 2016-17), even a belated return can be revised. Additionally, the time limit for revision of that particular year remains same as earlier i.e. This means that for FY 2016-17 (AY 2017-18) the return can be revised up to 31/03/2019. This means that for FY 2017-18 (AY 2018-19) also the return can be revised up to 31/03/2019. Can I Revise my return twice?? 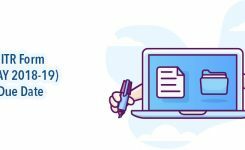 Revision is possible infinite number of times between the filing date and above mentioned period of the respective year. Upon filing a revised return, the original one stands withdrawn and you are now assessed on the amended details. But, this facility should not be misused to avoid being a suspect in the eyes of Income Tax Authorities. iii) The date on which original return was filed. Note: In case you have made more than one revisions, then too the details of original return are required. Subsequent to filing process do not forget to verify your return!! 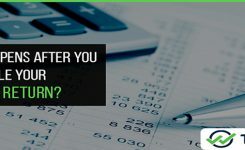 This blog must have paced down your queries relating to revision of ITR. Still, we highly recommend to file your income tax return with utmost diligence and leave no rooms for correction. But, since errors are inevitable, if you observe any fault in your return section 139(5) is there for your rescue. For seeking further clarification on the topic you may post your comments below. Looking for an experts help on ITR Contact us now. 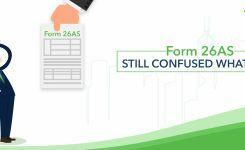 What is Form 26AS and Why is it so Important? 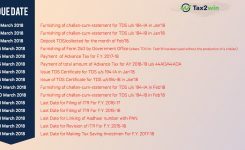 ITR Ay 2017 18 filled on tje date of 31st march 2018. But some figures wrong fiiled. For F.Y 16-17(A.Y 17-18) the time limit for revising the belated return is 1 year from the end of relevant assessment year. That means it can be revised up to 31st March 2019. Therefore, in your case, the belated return filed by you on 31st March 2018 for F.Y 16-17 can be revised up to 31st March 2019. So, even if you have filled the wrong figures, you need not worry. Just, revise your return with correct figures at the earliest. You can also take assistance from our expert CAs who will guide and advice at the best. As per section 139(5), if any person discovers any omission or any wrong statement in the original return furnished, then he may furnish a revised return at any time before the end of the relevant assessment year or before the completion of the assessment, whichever is earlier.Therefore, for the AY 18-19 revised return can be filed before 31-03-19 or completion of assessment, whichever is earlier. The process for revised return will be same as per the original return. 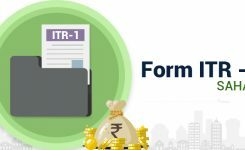 You just need to select the section 139(5) and give some more information as per the requirement of ITR Form. 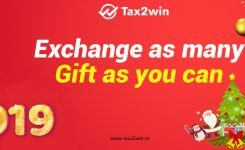 For customized opinion and safe tax planning, you can connect with us at [email protected] or at +09660996655. If any information shown wrongly in the Original Income Tax Return, then you have the option to file the revised return provided that the time limit for the respective year has not been passed. For the FY 2017-18 [AY 2018-19], revised return can be filed upto 31.03.2019. For more information in this regard, you can connect with us at [email protected] or at +09660996655. As per section 139(5), if any person discovers any omission or any wrong statement in the original return furnished, then he may furnish a revised return at any time before the end of the relevant assessment year or before the completion of the assessment, whichever is earlier. Therefore, for the AY 18-19 revised return can be filed before 31-03-19 or completion of assessment, whichever is earlier. The process for revised return will be same as per the original return. You just need to select the section 139(5) and give some more information as per the requirement of ITR Form. For customized opinion and safe tax planning, you can connect with us at [email protected] or at +09660996655. Your query is not clear to us. There are separate schedules in the ITR Form related to the TDS, TCS and Advance tax. If you have entered the wrong details in these schedules, you need to revise the ITR and enter the amount in the applicable schedule. However, please check your intimation u/s 143(1) whether there is any demand raised or not. For customised opinion and safe tax planning, you can connect with us at [email protected] or at +09660996655.